The Charles Hard Townes Award is given for contributions to quantum electronics. 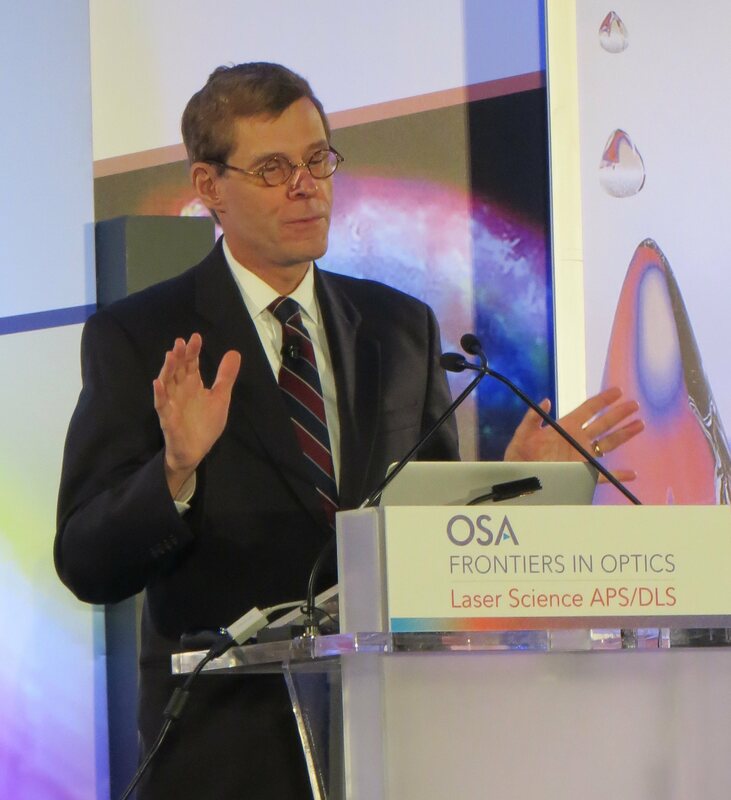 Robert W. Boyd is receiving the award for his fundamental contributions to the field of nonlinear optics, including the development of methods for controlling the velocity of light, of quantum imaging methods, and of composite nonlinear optical materials. This award is given by the Division of Laser Science of the APS to recognize outstanding contributions to basic research that uses lasers to advance knowledge of the fundamental physical properties of materials and their interaction with light. 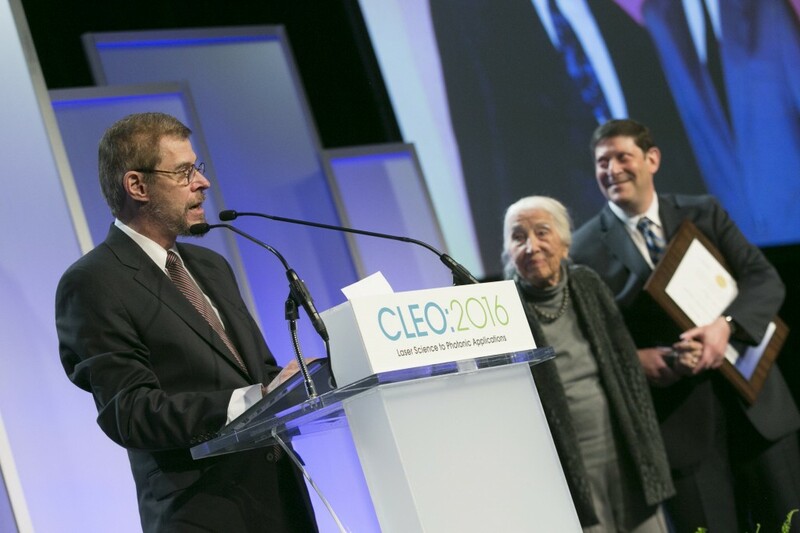 Professor Robert W. Boyd receives Schawlow Prize in Laser Science, American Physical Society, October 2016. 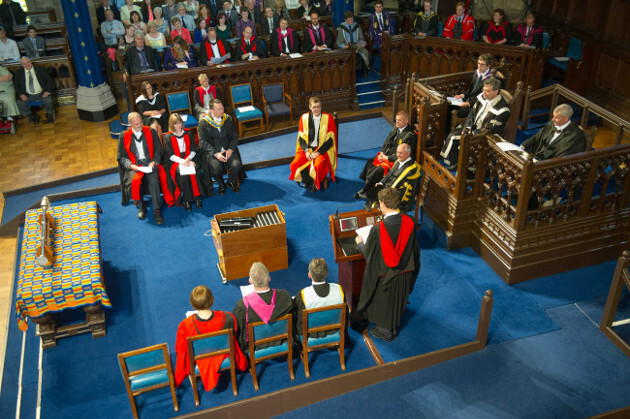 On July 2 2014 Professor Boyd was awarded an honorary doctor of science (DSc) degree by the University of Glasgow in the United Kingdom. The doctorate degree recognizes Boyd’s “considerable contributions” in the field of optical physics. Boyd is a pioneer in nonlinear optical interactions and nonlinear optical properties of materials. He developed composite photonic materials, also known as metamaterials, which can be fabricated to show linear and nonlinear optical properties for a specific task. Boyd also conceived the use of coherent population oscillations as a method of producing slow and fast light within solids at room temperature. The Quantum Electronics Award is given to honor an individual (or group of individuals) for outstanding technical contributions to quantum electronics, either in fundamentals or application or both. The Award may be for a single contribution or for a distinguished series of contributions over a long period of time. No candidate shall have previously received a major IEEE award for the same work. 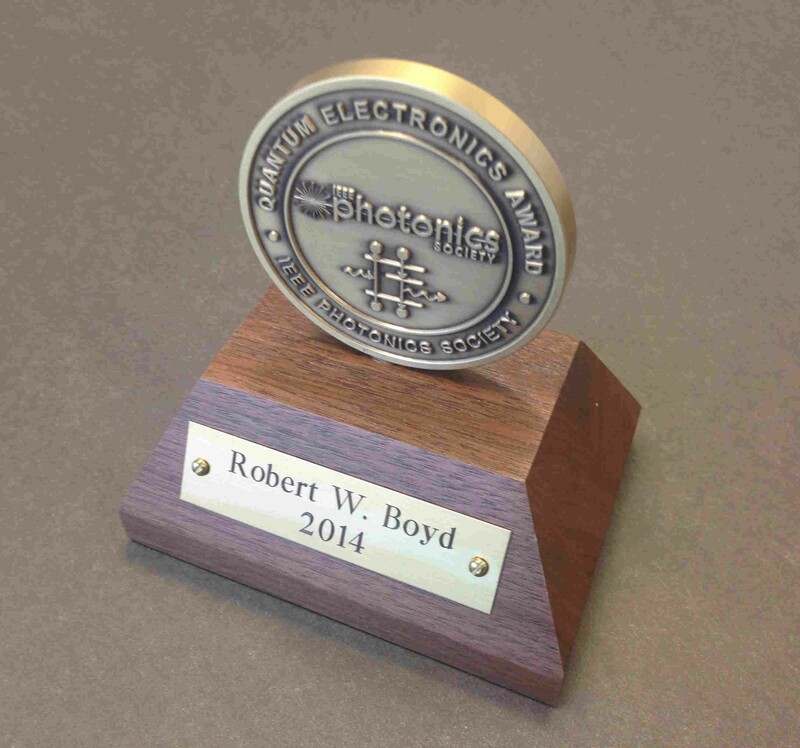 The 2014 Quantum Electronics Award was presented to Professor Robert W. Boyd, “for contributions to nonlinear optics, including room temperature slow light and the nonlinear optics of composite materials” The presentation will took place during the Awards Ceremony held at the 2014 IEEE Photonics Conference, a, San Diego, California, USA, on October 13, 2014. Photograph courtesy of the Humboldt-Stiftung/David Aussserhofer. 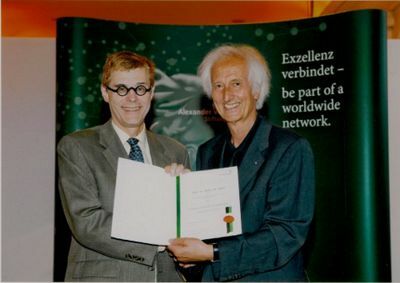 Robert Boyd received the Humboldt Research Award from Professor Dr. Helmut Schwarz, President of the Alexander von Humboldt Foundation, June 27, 2011. The Humboldt Research Award, granted by the Alexander von Humboldt Foundation in Germany, recognizes researchers whose discoveries, new theories or insights have had a significant impact in their own discipline and who are expected to continue being a cutting-edge researcher.